This inflamed rash shows the footprint of the patient’s metal-frame removable partial denture. The rash ends where the denture ends, and the denture had been in use less than a week. The patient was found to be allergic to nickel, present in the denture’s nickel-chrome reinforcing framework as an alloying element. Metal allergies are relatively common in dentistry, most often experienced by women who wear removable partial dentures that have reinforcing frameworks made of metals contained in costume jewelry. The most common allergenic element is nickel, but allergies to cobalt, chromium and palladium are well documented in the professional literature. The significance of metal allergies lies in the fact that metals are commonly used in the construction of denture frameworks, crowns, bridges, and orthodontic wires and brackets (orthodontics). How does the dentist diagnose Metal Allergies? 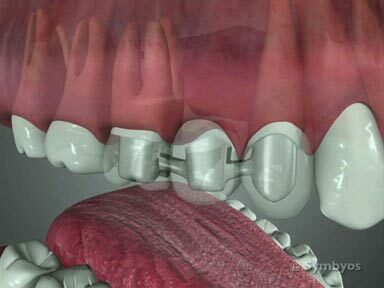 Metal allergies associated with dentures are straightforward to diagnose. 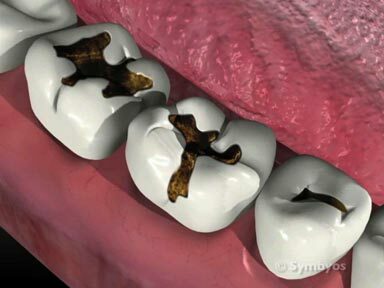 The dentist performs an examination of the affected tissues, and arrives at a diagnosis on the basis of the appearance, location, and history. Patients with an allergy to the material will typically have a soft-tissue imprint resembling a brand. Very often, a patient who is sensitive to nickel-containing denture alloys has a history of allergy to the metal. This often manifests as a chronic itch in skin that contacts nickel-containing jewelry. Ruling out infectious conditions is generally straightforward, because contact allergies usually appear shortly after the denture is made, unlike infectious conditions (for example, candidiasis); and leaving the denture out produces rapid resolution of the problem. For cases which are not as clear cut, skin testing can be performed by an allergist. Metal allergies related to orthodontic hardware can be harder to diagnose because they generally result in gingivitis—which is also common in non-allergic orthodontic patients, and usually due to poor oral hygiene. How are Metal Allergies treated? Typically, the denture framework or other restoration will need to be replaced with one that does not contain nickel, or other allergenic metals. Framework alloys (if needed) should be considered which form few if any corrosion byproducts. These may include noble and high noble alloys (for example, gold and platinum), or titanium and ceramic materials. The expense of such exotic framework materials should be weighed carefully against other available treatment options. 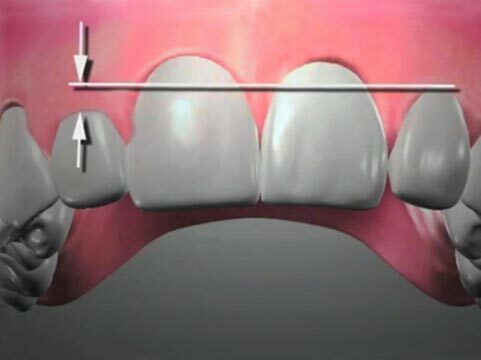 Where rigid reinforcement is not required for strength, non-reinforced denture plastics may be an option. Non-reinforced dentures may have other limitations, including the inability to rest them partly on the remaining teeth, which minimizes the forces they apply to the gum tissues and underlying bone. Other treatment alternatives like fiber-reinforced denture acrylic, fixed bridgework (bridges), or dental implants may be an option. Treating inflamed soft tissue may be as simple as rinsing with warm salt water several times a day as directed by your dentist. Including 0.12% chlorhexidine in the rinsing routine morning and evening may accelerate recovery.